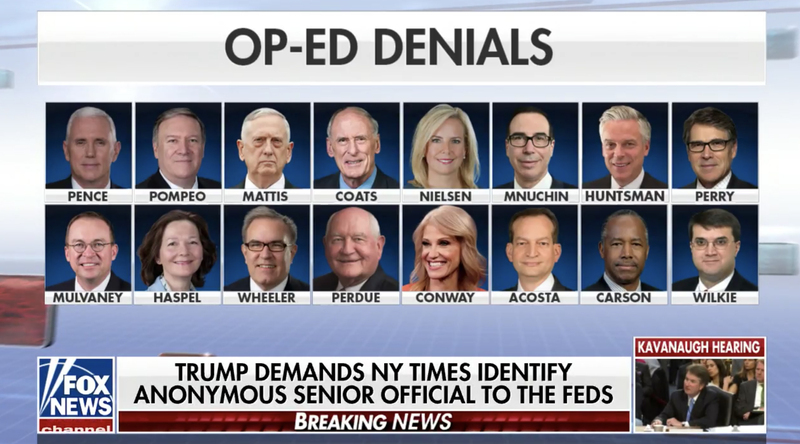 After a scathing op-ed piece criticizing Donald Trump appeared in The New York Times, members of the administration were quick to jump on the “I didn’t write it” bandwagon, cable and network news alike quickly began tallying the denials. 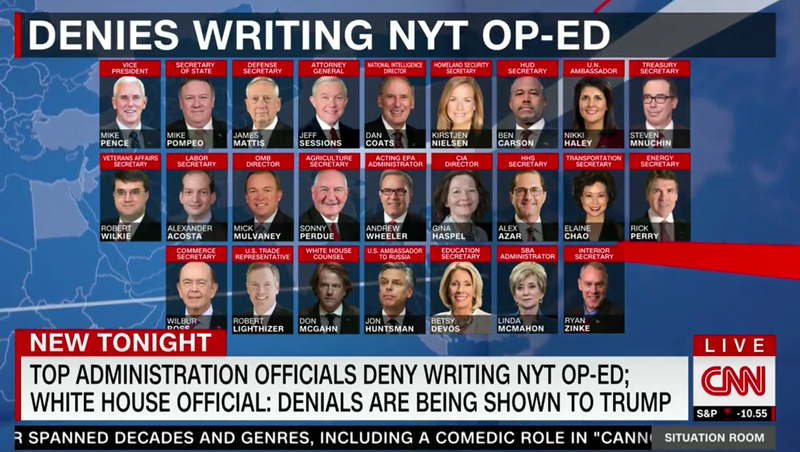 The list grew quickly Thursday, Sept. 6, 2018 — and continues to grow — with most networks creating “denial boards” featuring headshots or lists of officials who have publicly denied penning the piece. Here’s a look at how the “denial boards” — which started to look like epic box layouts — played out across TV news Thursday. Keep in mind these examples were taken from different times of the day and, in some cases, since only “major” officials were included in the graphics, who appears varies from example to example. This is also not a definitive list of all the looks used — feel free to tweet us any other “denial boards” you spotted on TV news. 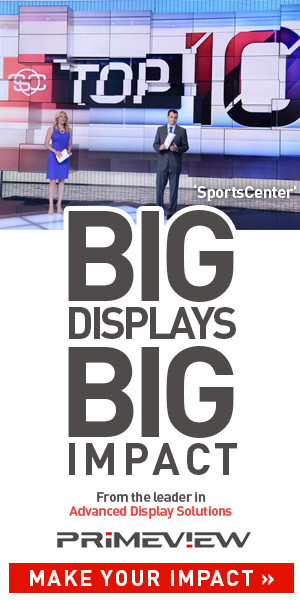 Fox News used its trademark boxy look with a slight gloss effect in this image taken during “Shepard Smith Reports.” Each headshot was cut out and placed against a blue background.